ERCO Energía SAS (ERCO), an engineering, procurement, and construction (EPC) firm and an investment of Innova Capital Partners, LLC (Innova) and Fondo de Capital Privado de Emprendimiento e Innovación SP (FCP) has installed for Empresas Públicas de Medellín (“EPM”) a 100 kWp PV Floating Park in the reservoir of El Peñol. The first of its kind in Colombia, the project will serve as a benchmark to study the technology in order to assess its application in other reservoirs in Colombia. According to statements of the General Manager of EPM, Jorge Londoño De la Cuesta, “with this pilot project we seek to verify whether the floating solar systems have an energy performance of more than 10% or 15% compared to traditional systems on land or roofs, thanks to its proximity to water, which allows them to be more refrigerated and take advantage of the greater radiation that reflects the water with respect to land”. In Colombia, there are a large number of reservoirs with appropriate infrastructure for the development of this type of projects; according to the International Commission of Large Dams (ICOLD), Colombia currently has 62 reservoirs classified as large dams. 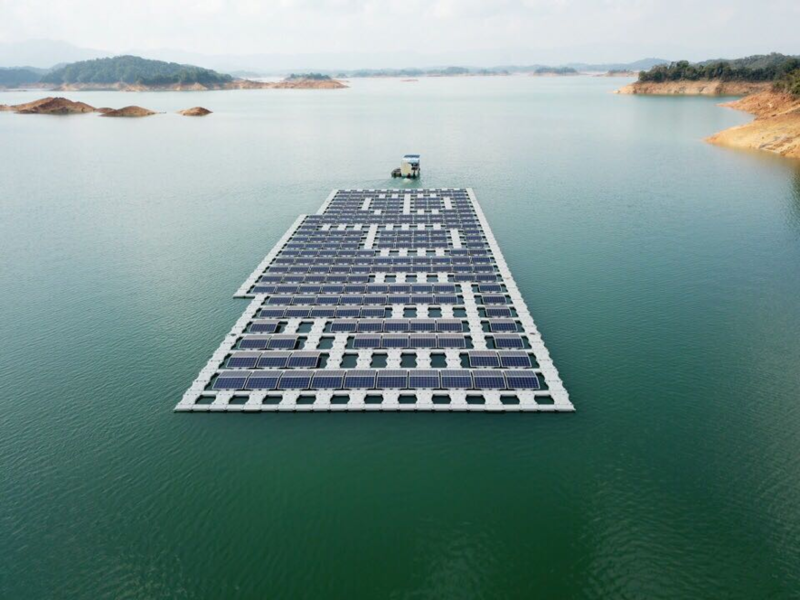 Innova Solar Colombia (“ISC”), an investment of Innova, is pleased to be able to act as a developer in Colombia and partner with Ciel et Terre, the world’s leading company in floating solar PV technology with the first patented and industrialized water-based PV concept Hydrelio®. ERCO is an Engineering, Procurement and Construction firm based in Medellín, Colombia dedicated to the development of innovative products and solutions with renewable energies, from the commercialization to the design and installation of solar systems, both photovoltaic and thermal. Innova is a global developer and investor with a focus on growth oriented opportunities in energy, real estate and infrastructure, but not limited to those sectors. The Innova platform invests in projects and companies at various stages of their development cycle and partners with industry-leading management teams, franchises, and companies positioned for significant growth. Innova Solar Colombia (“ISC”) is a developer, investor and provider of comprehensive solar energy solutions. ISC manages each of phases of the project, from the structuring, financing, engineering and installation of the solar systems to their operation and maintenance. ISC develops and structures both utility size installations as well as distributed generation solutions to Commercial & Industrial (“C&I”) clients in Colombia.